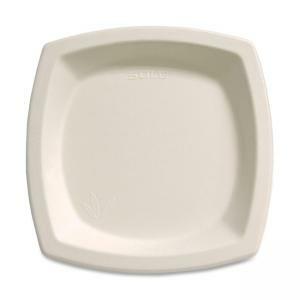 Bare Sugar Cane Plates offer excellent rigidity, cut-resistance and soak-through resistance. The square-round shape is an elegant alternative to traditional round dinnerware. Durable, microwavable plates are made with annually renewable sugar cane and are compostable in a commercial compost facility.